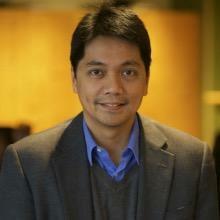 Erwin R. Tiongson is a Professor in the Practice of International Affairs and Concentration Chair for International Development in the Master of Science in Foreign Service (MSFS) Program at Georgetown University. Prior to joining Georgetown in 2014, Erwin was a Senior Economist at the World Bank and served in the Europe and Central Asia Region and, more recently, in the Latin America and Caribbean Region. He first joined the World Bank in 2003 through its Young Professionals Program. He also served as staff member of the International Monetary Fund from 1997-2003 and served as Associate Professor at the Asian Institute of Management from 2009-2011, where he remains a Nonresident Research Fellow. He is a Research Fellow of Das Institut zur Zukunft der Arbeit (IZA) (Institute for the Study of Labor) and External Research Fellow of the Centre for Research and Analysis of Migration (CReAM) at the University College London. Erwin holds a Ph.D. and an M.Phil. in Economics from The George Washington University, an M.P.P. from Georgetown University, an M.A. in Economics from Fordham University, and a B.A. in Philosophy from the Ateneo de Manila University. A: I know it sounds a bit strange to have three master’s degrees. I didn’t quite plan it that way. They reflect choices I made over time. I was a philosophy major in college in the Philippines. In junior year, I took an elective on theories of social development. Growing up in a developing country, I never quite saw it as life in a developing country context. It was just life and you did your best, like other people around you. That elective was game-changing, a pivotal moment as you put it, as I saw systematically the promise and the complex challenges of international development. At that time, I was also a member of a student organization that spent a lot of time interacting with residents of a low-income community near our university. I saw first-hand the indignity and violence of poverty. Many of the things I saw have stayed with me since then. After completing my philosophy degree. I did a one-year master’s degree in economics at Fordham. Although I liked the program a lot, I didn’t feel prepared yet to engage in development policy work after only a year of full-time study. I decided to do a 2nd master’s degree, this time in something I thought more applied – Georgetown’s graduate program in public policy. I also thought that being in DC meant being closer to important centers of development work, such as the World Bank. After Georgetown, I worked at the IMF and my division chief encouraged to me to purse a PhD, with financial support from the organization. I did that while working full-time. I am not sure I would recommend that to anyone now—a PhD program concurrent with full-time employment. It wasn’t easy. Q: How and why did you choose your Fordham, George Washington, and Georgetown to pursue your graduate degrees? A: I went to a Jesuit college in the Philippines that had strong ties to Fordham. For my 2nd master’s degree, I thought I would pursue something more applied—Georgetown’s graduate program in public policy. GWU is right next to the IMF and has a strong economics program. When my Division Chief at the IMF suggested that I purse a PhD while working full-time, the GWU program seemed liked the obvious program. A: I had two suitcases and very limited financial resources when I first came to the US nearly a quarter of a century ago. I had to cobble together part-time jobs on campus to help me survive. At Fordham, for example, I worked at the Law Library re-shelving books and cataloging new titles. I also had a research assistantship. One semester I served as a resident assistant to help pay for housing. I also remember that in our graduate program at Georgetown we were constantly being told to network and meet people. I didn’t quite know how to do that and to be honest I am not sure I am any better now. I remember how awkward that was for me. In part, many of the things I do now as the International Development concentration Chair of the Master of Science in Foreign Service program at Georgetown University have been informed by my memories of the barriers I faced as an international student many years ago. For example, I create opportunities for students to network and try to make it easier for them to meet global practitioners. I organize small-group discussions with practitioners because I know some people are more comfortable in such a setting. I direct students to paid internships and consulting opportunities because I remember how difficult it was to make ends meet. Q: How have your graduate studies shaped your career endeavors? A: My first job after completing my Georgetown graduate degree was at the IMF, the Expenditure Policy Division of the Fiscal Affairs Department. By coincidence, a number of research papers I worked on while at Georgetown were based on the work of economists in that division. (So—take those final papers seriously. They may lead to a job someday!) That division was also heavily involved in many of the issues I studied at Georgetown and cared deeply about—the social impact of structural adjustment programs, the debt relief initiative, and a fledgling effort to measure multiple dimensions of development that would eventually lead to the Millennium Development Goals. Some years later, I joined the World Bank. I served as team leader and member of various operations worldwide, spanning the full spectrum of the World Bank’s activities: economic sector work, technical assistance, investment operation and development policy lending. In 2009, I went on leave from the World Bank and moved back to the Philippines temporarily. My family and I lived in Manila for a couple of years and I taught at the Asian Institute of Management while doing field work related to financial inclusion, migration, and development. When I rejoined the World Bank in 2011, I found that I missed teaching. A couple of years later, a teaching opportunity opened up in the MSFS program at Georgetown University and I have been here since. A: You bring a unique perspective into international affairs. Many of the lasting controversies in international affairs are almost always about distribution, representation, and social exclusion/inclusion. There are winners and losers in global politics, global business, and international development. Although no one has a monopoly of empathy, I hope that being from an underrepresented group compels us to be more sensitive to the needs of those excluded from economic prosperity and social systems. Whether systems rise or fall will, I think, depend on our capacity to listen, to care, and to build a kinder world for everyone. Higher education is not easy and there are significant barriers. But there are resources available and I am thankful for the generous individuals and mentors I met along the way. I remember them often as I try to find resources for my students now.